A Classic G Truck Encased in Resin, Because Why Not? 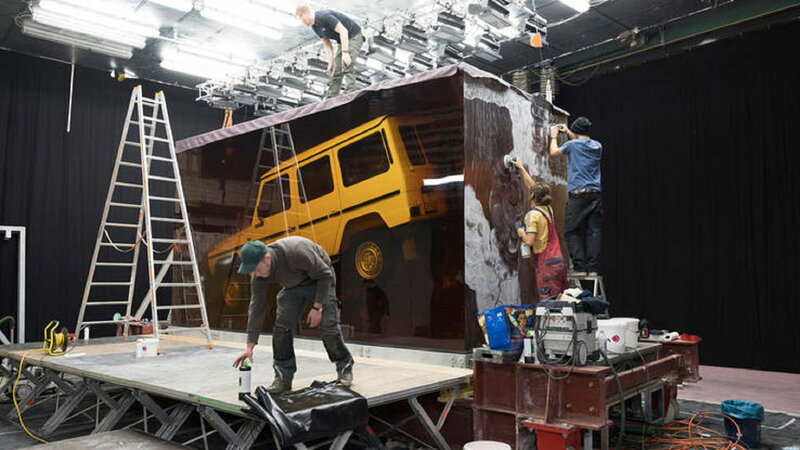 To garner attention at the 2018 North American International Auto Show, Mercedes-Benz preserved a classic 1979 280 GE SUV, from the G-Class' first year of production, in a chunk of synthetic resin. For the North American International Auto Show MB wanted to show off how well it can continue on while preserving its history. 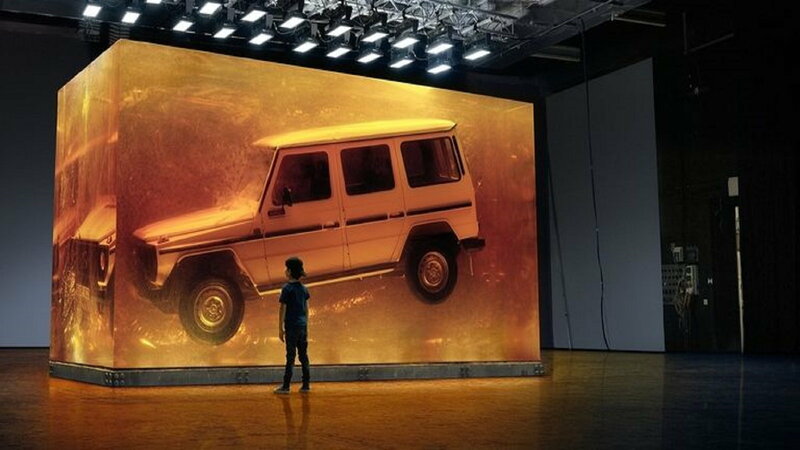 It is doing that by showing off an original G-Class suspended in amber resin just like a certain mosquito showcased in Jurassic Park. According to the experts at Mercedes, the block of resin weighs 44.4 tons. It took about three months to cast, growing at a rate of 3 centimeters per day. >>Join the conversation about the 280 GE Floating in Resin right here in MBWorld. 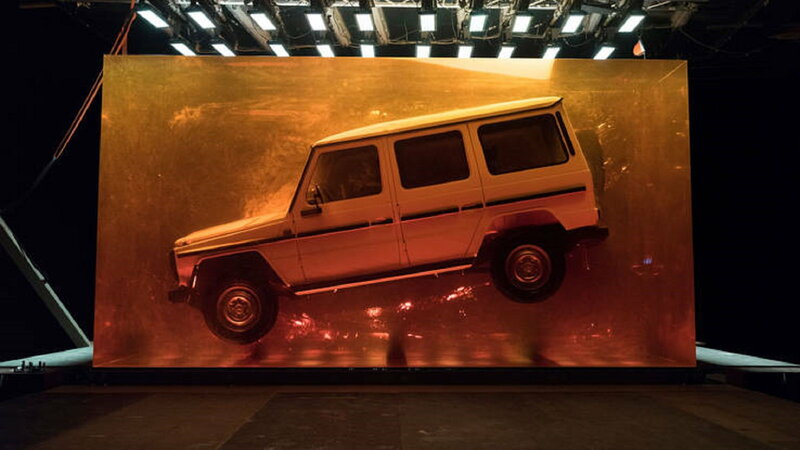 Again, according to Mercedes, the volume of this resin-vehicle measures 1,535 cubic feet; that’s enough to fill the 79.5 cubic foot storage space of a 2017 G-Class 19 times over. The block measures 18 feet long, 8.4 feet wide, and 10.2 feet tall and took 90 days to create. The four-door SUV has a 2.8-liter inline six with 154 horsepower and 167 lb-ft of torque. Actually, five tyrannosaurus rexes if we’re using one as a point of reference. How Mercedes got it there is unknown but hey, they are in the transportation business. 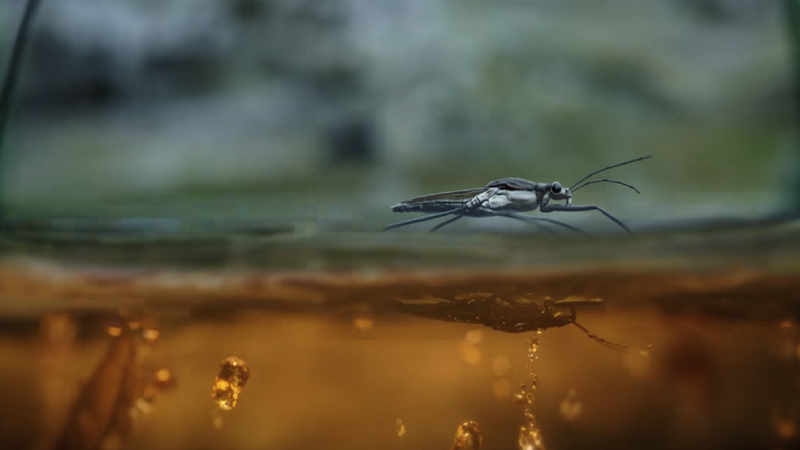 The installation was done in order to symbolize “the timelessness of the off-road legend and makes a conscious reference to the natural phenomenon of insects preserved in amber,” Mercedes says. Markenfilm Crossing took on the production duties of the block and let us tell you that it took a really long time to complete. Each day workers added around three centimeters to the cube. However, once the cube was finished the mold was removed and the crew polished it in order to reveal the vehicle. To see the resin encased vehicle in this promo clip, just click here. 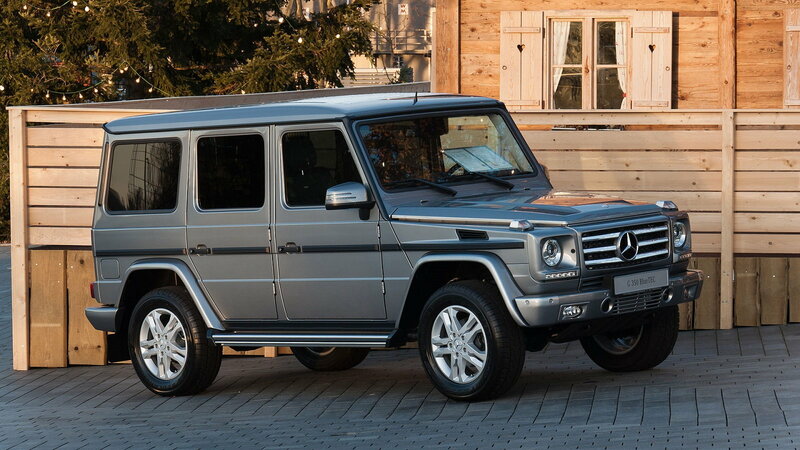 Did you know this about the G-Class? Even though unibody SUV Mercedes-Benz GL-Class was introduced in 2006 as an intended replacement, the G-Class is still in production. Today, it’s one of the longest produced Mercedes-Benz in Daimler's history in just over 35 years. Only the Unimog surpasses it.